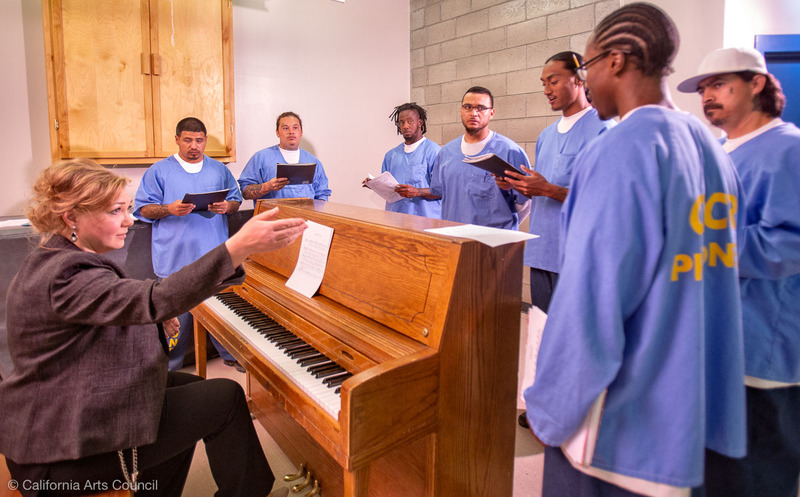 Choir at California Correctional Center, Susanville - 2018 Sept. Shown here is a vocal/choir class, held in a small chapel at CCC—which is in the high desert of north-eastern California. The instructor is Liudmila Mullin; she is sponsored by the William James Association, as part of the Arts in Corrections program. Funding for these photographs was provided by the California Arts Council. At the request of several artists, prints of these images are available at cost; just go to the LARGE image and click on the shopping basket. If the FOTOMOTO site does not open right away, please try again.